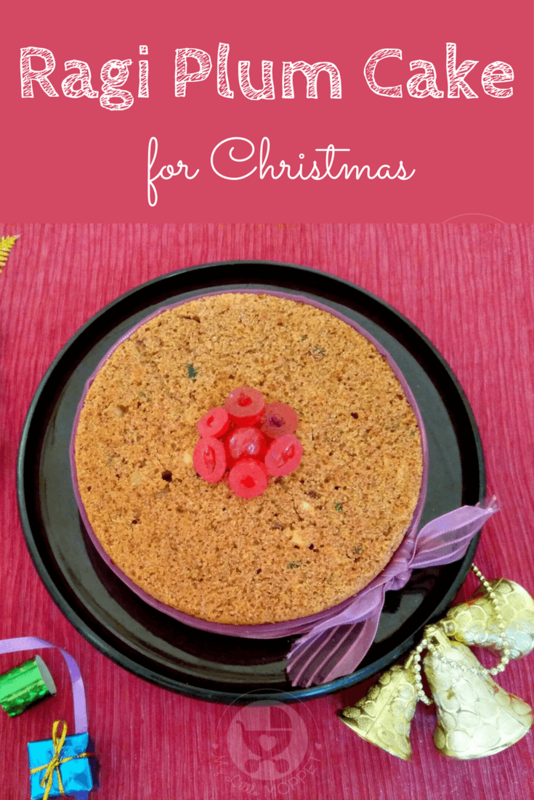 Fruit cakes are customary during Christmas, especially plum cakes. Come December, and all the bakeries start displaying fruit cakes of various kinds. 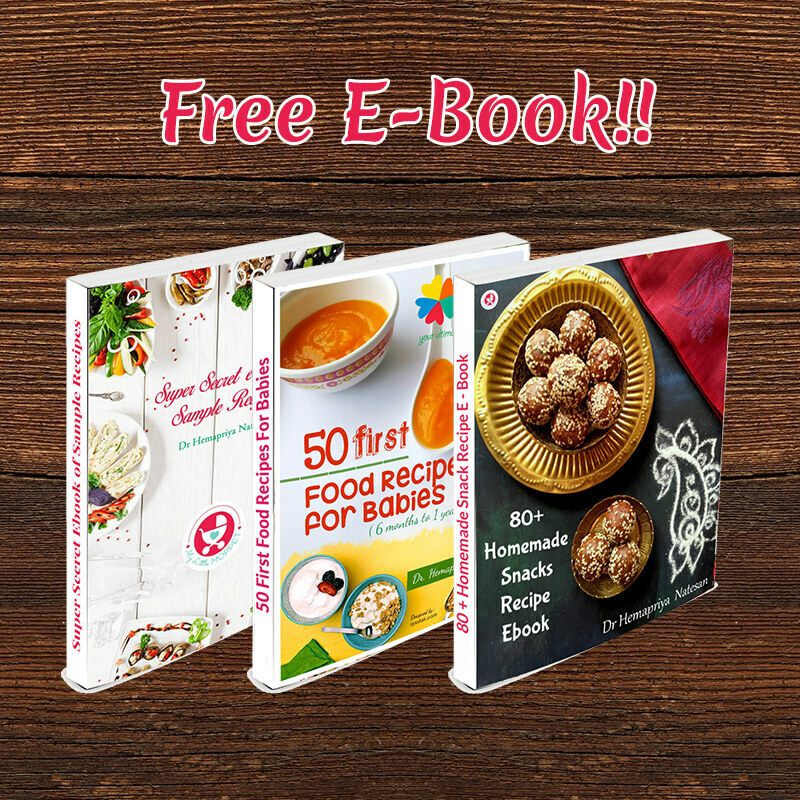 They’re very tempting, but we know that too much refined flour and sugar isn’t good for us! 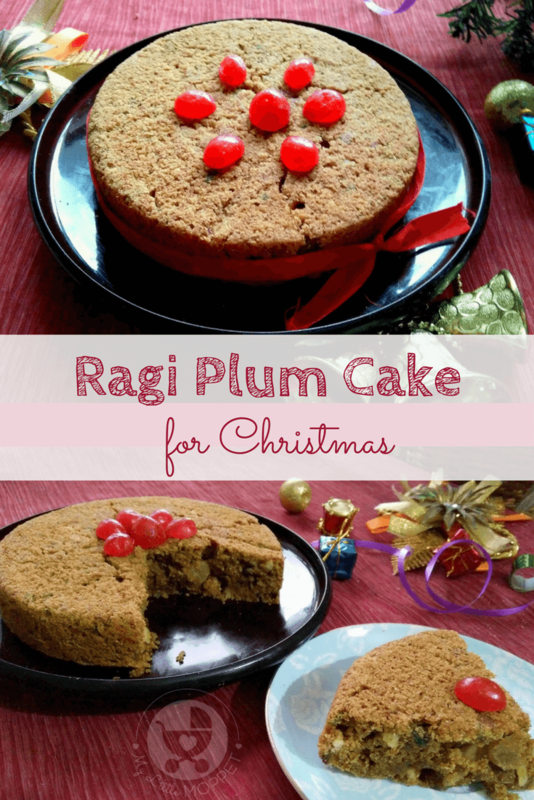 That’s why we’ve gone and given a healthy twist to the traditional version with our Ragi Plum Cake Recipe for Christmas! 1. Preheat the oven at 180 degrees Celsius for 15 minutes. Grease the cake pan or line it with the help of parchment paper. 2. 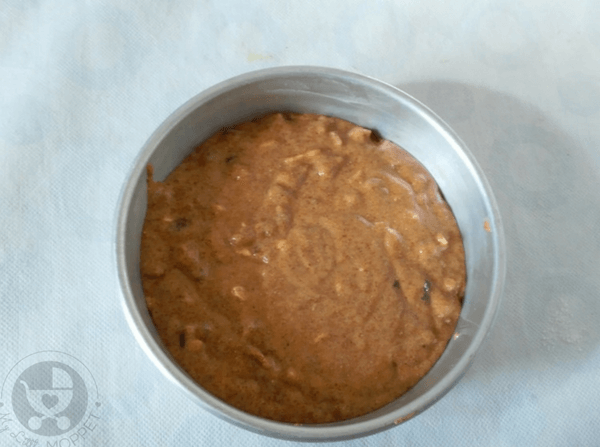 Sieve the whole wheat flour, ragi flour, custard powder, spice mix, baking powder and pinch of salt together 2-3 times in a larger bowl. Our dry ingredients are ready. 3. 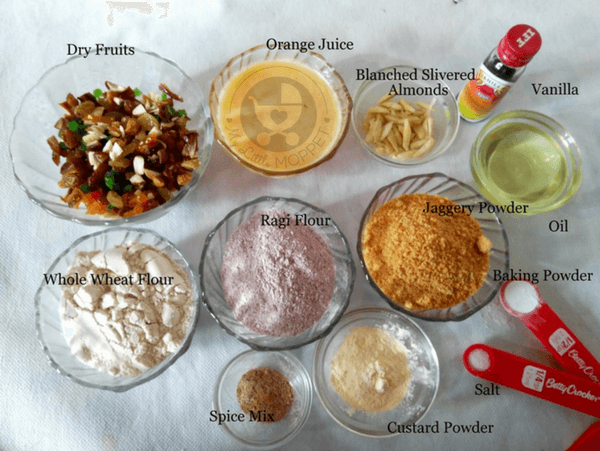 Put the jaggery powder in another bowl, add the orange juice and oil and whisk well until the jaggery powder dissolves completely in the orange juice. 4. To this mix add the vanilla extract and blend well. Our wet ingredients are ready. 5. 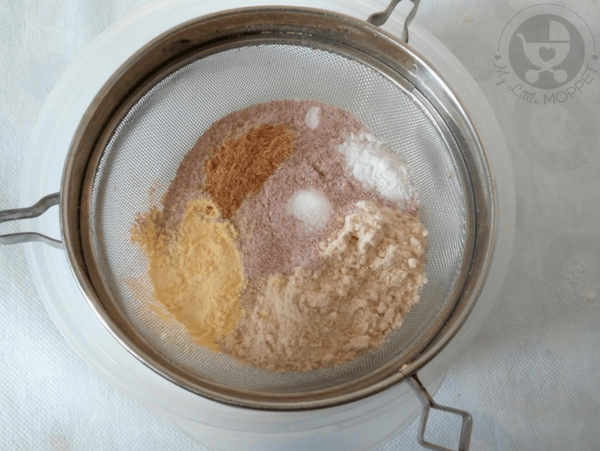 Mix the wet and dry ingredients and blend well to get a lump-free batter. 6. To the bowl of dry fruits and nuts, add 1 teaspoon of whole wheat flour and mix well. Add the nuts and dry fruits to the cake batter. Blend well with a spatula or whisk. 7. 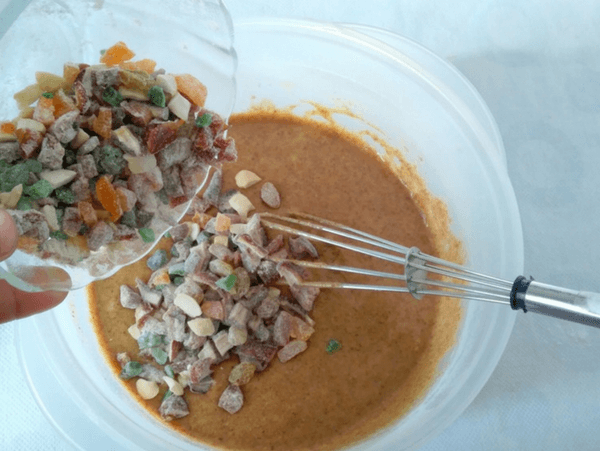 Now add the blanched slivered almonds to the batter and mix well. 8. Pour the batter in a greased cake pan. 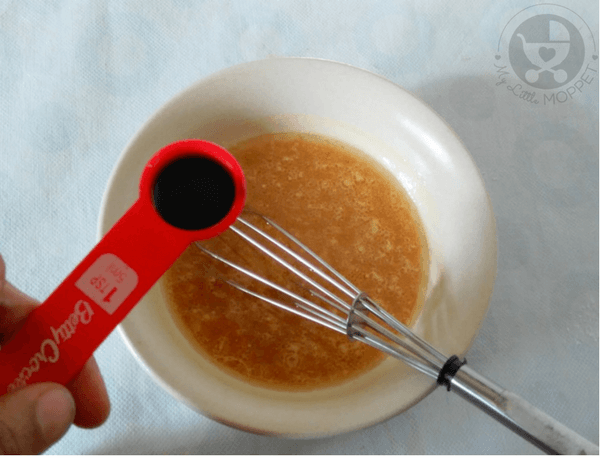 Tap the cake pan once or twice to remove any trapped air bubbles. 9. 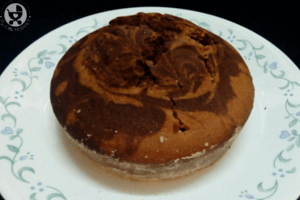 Bake the cake at 180 degrees Celsius in a preheated oven for 30-35 minutes. Keep a check after 25 minutes as the temperature may vary from oven to oven. 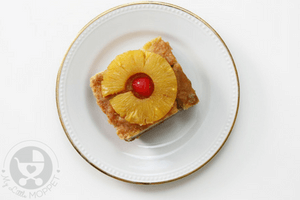 To check if the cake is done, insert a toothpick in the center of the cake. If the tooth pick comes out clean, the cake is done. If there is some batter sticking to the toothpick, bake the cake for another 5 minutes. 10. Cool on a wire rack and slice into pieces. 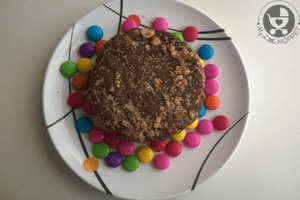 This cake can be given to toddlers over 18 months, but chop the nuts finely if they can pose a choking hazard. 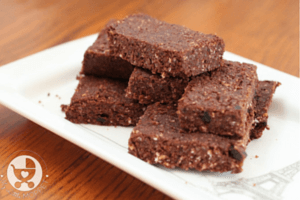 The combination of ragi flour and whole wheat flour make this Ragi Plum Cake wholesome and more satiating – so you’re not at risk of overeating! Besides, jaggery serves as a sweetener, which means no sugar. Traditional fruit cakes require several dates of pre-soaking the nuts in alcohol, but this is a child friendly version – and super easy too! 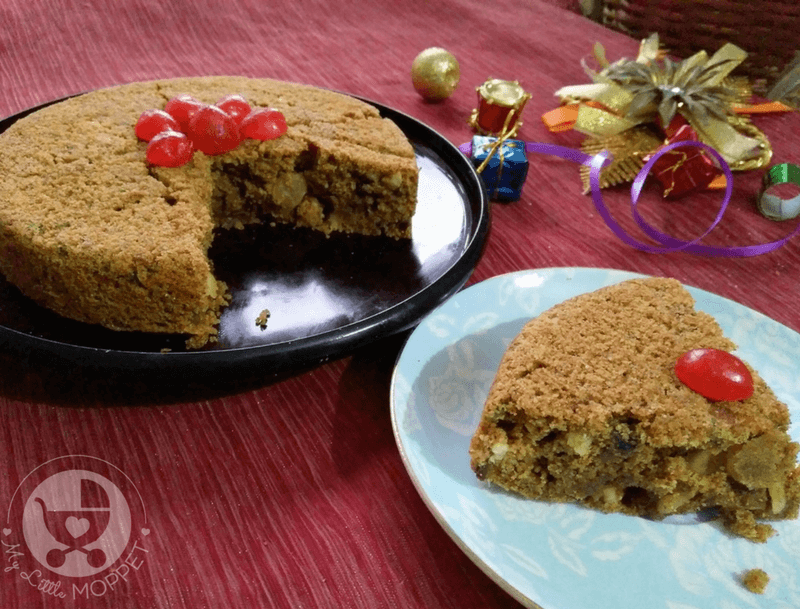 Fruit cakes are customary during Christmas and we've gone and given a healthy twist to the traditional version with our Ragi Plum Cake Recipe for Christmas! Preheat the oven at 180 degrees Celsius for 15 minutes. Grease the cake pan or line it with the help of parchment paper. Sieve the whole wheat flour, ragi flour, custard powder, spice mix, baking powder and pinch of salt together 2-3 times in a larger bowl. Our dry ingredients are ready. 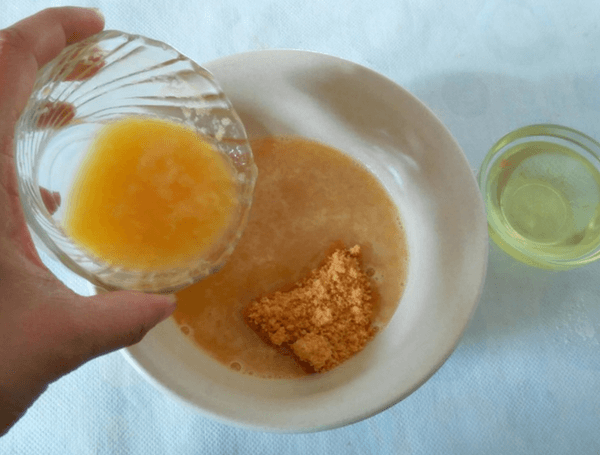 Put the jaggery powder in another bowl, add the orange juice and oil and whisk well until the jaggery powder dissolves completely in the orange juice. To this mix add the vanilla extract and blend well. Our wet ingredients are ready. 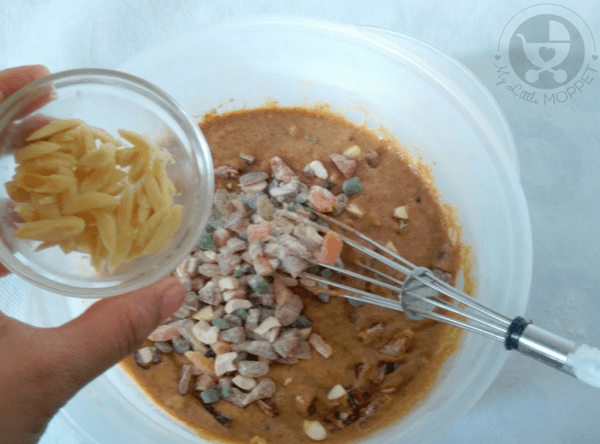 Mix the wet and dry ingredients and blend well to get a lump-free batter. To the bowl of dry fruits and nuts, add 1 teaspoon of whole wheat flour and mix well. Add the nuts and dry fruits to the cake batter. Blend well with a spatula or whisk. Now add the blanched slivered almonds to the batter and mix well. 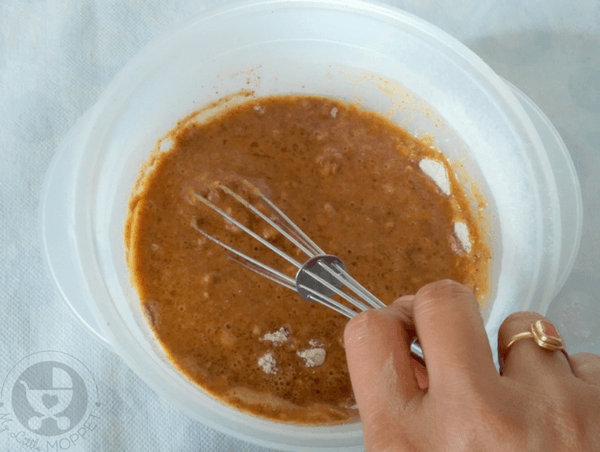 Pour the batter in a greased cake pan. Tap the cake pan once or twice to remove any trapped air bubbles. 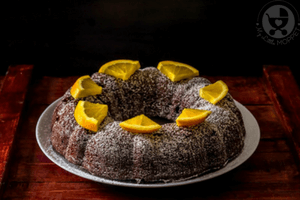 Bake the cake at 180 degrees Celsius in a preheated oven for 30-35 minutes. Keep a check after 25 minutes as the temperature may vary from oven to oven. 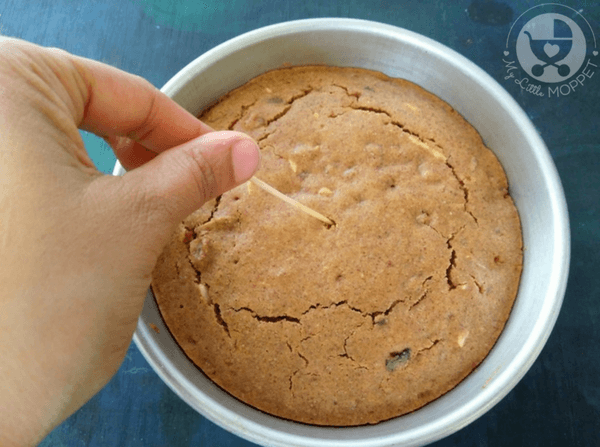 To check if the cake is done, insert a toothpick in the center of the cake. If the tooth pick comes out clean, the cake is done. If there is some batter sticking to the toothpick, bake the cake for another 5 minutes. Cool on a wire rack and slice into pieces. Can i substitute or leave custard powder? 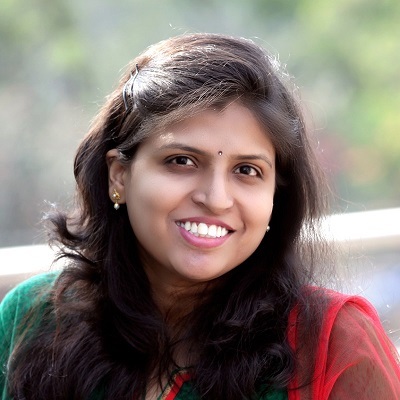 Hi, You can skip custard powder while preparing this cake. Is there any alternative to oven? any pressure cooker method ? Add salt to an old pressure cooker and put the lid without whistle . Heat the cooker for 10-15 minutes on medium flame. This is similar to preheating an oven. 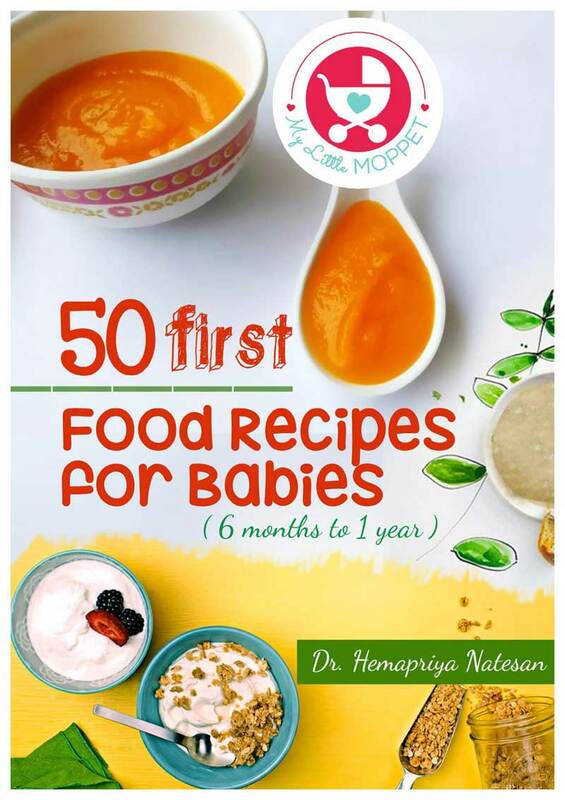 However this particular recipe i have not personally tried using pressure cooker. 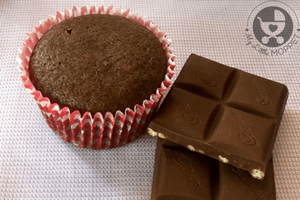 Yummy Ragi cake…Love it…Is there any alternative to baking powder? You can add just a pinch for it dear, I understand we want to avoid it. A little of it should work too.